EASTER IN BENDIGO The Bendigo Easter Festival is upon us again and my Studio WILL BE OPEN with an Exhibition of Retrospective works, New Works, New prints and cards, the launch of new post cards too. 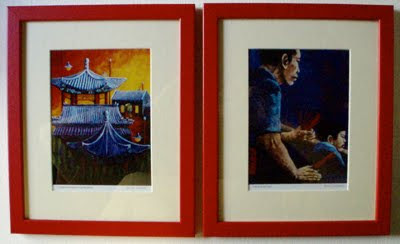 These prints Chinese Gardens Impressions and Drum Rhythm celebrate the Chinese history of this region. Come to my Exhibition and celebrate with me. Over 100 paintings on show.